The first Phonics video has the 26 alphabetical letters with their first sounds. I like to teach some children this way first. It spares confusing the sounds. The second Phonics video has the 26 letters with the several sounds that the letters make. Sharp students might as well learn it altogether. 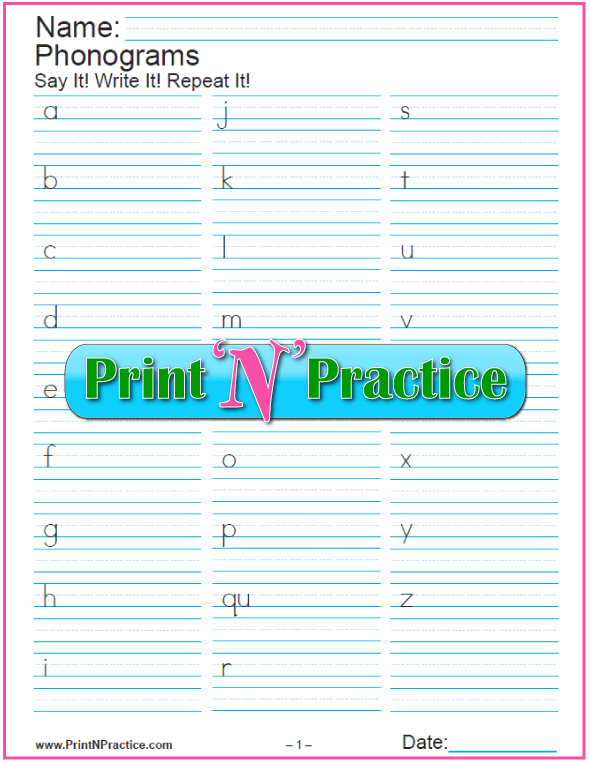 Printable Phonics Activities for beginners - Printable list of 26 letters to trace and copy. You can use this instruction with both slow and faster children and I have fond that it has been what helps both to succeed. I think this is the real test of whether a program is good or not. Does it help different learning styles in different children? Yes! This first video teaches the short vowel sounds and the first sounds for the 26 letters of the alphabet. Teaching the alphabet is one thing, learning the sounds is another and is actually much better for teaching phonics for reading skills. Reading and writing use the sounds not the names of the alphabetical letters. This is super for preschool and kindergarten phonics and shows the main sounds for the letters. Be careful not make it seem as if there are no other sounds. If you want a short cut in learning to write and read go quickly to the second video. This has the sounds that Dr. Orton, Romalda Spalding, and Wanda Sanseri recommend. This first video teaches the phonic sounds not the alphabet names. There's no more dropping the Phonics flash cards out of learning order or saying the wrong phonic sounds. These are super teacher, parent, and student-friendly since there is less chance for error and since many students can view these with no supervision. Our video flash cards give the basic phonics lessons. 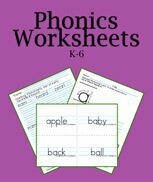 Pair this with our reprintable worksheets and you've got a great way to reinforce a child's first efforts with phonics or to re-edify a child's review of the basics. 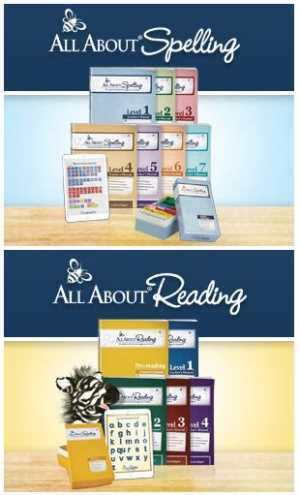 Oh, how I wish that I'd had our printable worksheets, flash cards and videos when I was beginning to teach our children! They really make the practice and review easy. They present each letter on the light blue ruled lines so that your students can see where the letters sit on the base line. No more guessing where letters go because the flash cards don't have the lines. No cartoons or tricks either. On this point I keep at least the bottom lines on my white board as I write so that the children know how letters are formed in relation to the lines. The reading and writing foundation blocks that have stood the test of time are the phonetic alphabet sounds and the spelling rules. The better your students are familiar with these two keys to reading comprehension, the easier time they will have in the future with new reading words and learning the correct spelling of words at higher levels. This second video teaches the several different phonic sounds that we use when reading and writing. Most of these only make their second and subsequent sounds when there is a rule involved. This can be used with many phonics activities. These sounds are good to know, but some students do not make sense of them until they also learn the Phonics Rules. After they know the reason that a letter says a different sound, reading and writing both improve. 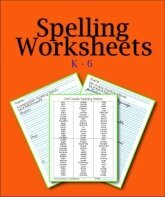 This worksheet is great for different phonics activities. Sometimes I'll have the children say the sound and write it as they say it. Other times I'll say the sound and they copy what they see. Choose any activity for practice that suits your situation. At the beginning of teaching phonics it may seem that your students are "way behind" those of teachers who have used other methods; yet over time you will find that you won't have to teach your students each and every single new word. Practicing the parts of the words is what works. They truly will begin to read new words without previous practice. Your students will have the tools for learning new words on their own. This is a God-send in the later grades. It takes time to get to this point, but it is so worth it. Along the way, if you review different phonics activities in little bits of time frequently enough, your students will be able to read them automatically. This is called gaining automaticity. Teaching reading well usually requires teaching phonics and the spelling rules. Using phonics is the keystone to future reading comprehension success and reading freedom. If you have your students write the alphabet letters as they say the Phonics sounds they'll learn the sounds so much faster. We have found much better success using explicit instruction, where one teaches the sounds first with no guessing, rather than implicit instruction. You'll like the phonics activities that are related to Dr. Orton's methods from the early 1900s. 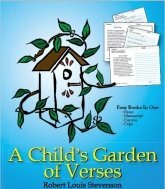 They use dictation methods that help the children think their way through words. 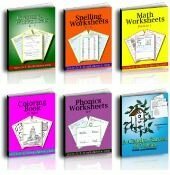 The main programs that I have used are Spalding, Schola, Wanda Sanseri, Riggs, Dettmer, etc., and I think that most any of these programs will work when a devoted teacher or parent is teaching phonics. Teach them the sounds and the rules and they can read and write much better. 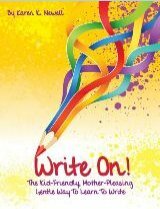 The advice in Romalda Spalding's The Writing Road To Reading says, "Review! Review! Review!" We agree. 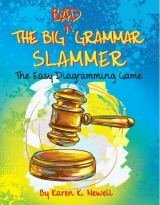 I spent a over a year teaching phonics without realizing the need for quick and frequent review. Now that I emphasize the review, my results as a teacher are WAY better. You can use this printable Phonics worksheet with the 2 videos. This way your students can trace or copy (or both) the correct letter for each sound. Pause as needed. This may take some care, though, and I wouldn't do it with younger students. Be sure they can pause and play as needed. Be sure that your students recognize which letter goes with which sounds before assigning the writing for phonics activities. Older students can simply write the phonograms that they see on their own paper. If your students will use the video independently, it's really good if you can teach them to pause for each letter if they need more time to write the letters.